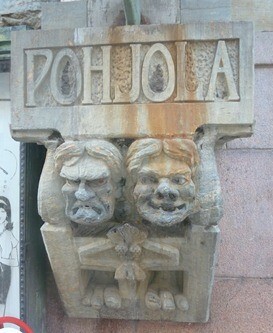 Art Nouveau, or Jugend style, flourished in Helsinki at the turn of the 20th century. At that time, Finland was characterised by ardent political, cultural and economic developments. Helsinki was growing at an amazing speed, and the old wooden houses had to give way to stone blocks. This neophile boom found its expression in an architecture that reflected Fennophile romanticism, the influences of Art Nouveau and Jugend style from Central Europe as well as the Scottish and American fashion for natural stone facades. The heritage of this building boom is still a dominant feature in many parts of present-day Helsinki. About 600 buildings date back to the Art Nouveau era, ca. 1895-1915. Large residential areas were constructed entirely in Jugend style. The Katajanokka district with its wide city quarters full of fantastic Art Nouveau buildings is unique in the world. 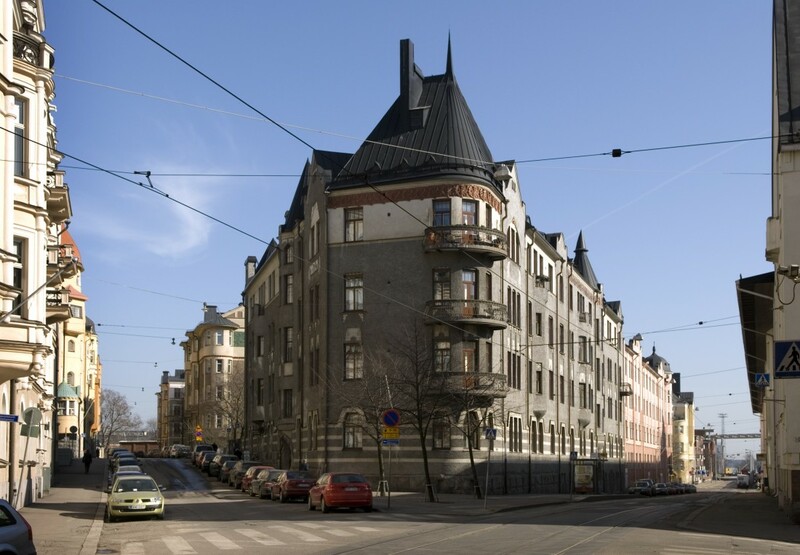 Other neighbourhoods that are particularly rich in Art Nouveau houses are Kruununhaka, Ullanlinna and Eira. In Finland, Art Nouveau found a special expression in the National Romantic Style, which was perceived as fundamentally Finnish, despite its international influences. The rough granite façade thus became a symbol for Finnishness, and the fortress-like shapes were seen to be filled with references to Finland's medieval history. Nordic legends and nature were a rich source of inspiration for decorative subjects. The most striking examples of this style are the Pohjola building, the National Theatre and the National Museum. By the end of the Art Nouveau era in the 1910s, Finnish architects were inspired by the practicality and common sense of American architecture. They began to emphasise rational thinking and a simplified style, especially in office buildings. This period also produced some fine monuments in Helsinki, such as the Stock Exchange building, Seurahuone Hotel, the Railway Station and Kallio Church, each possessing especially beautiful interiors. 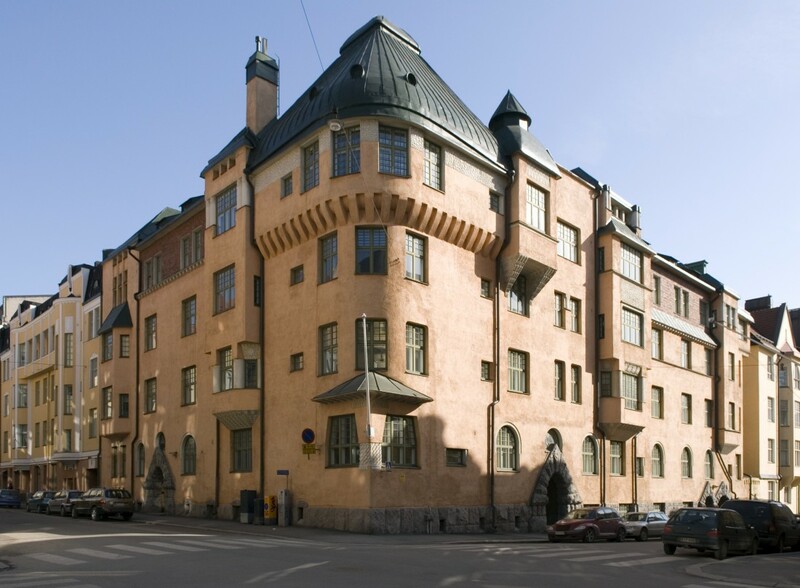 The first steps to founding the Helsinki City Museum were taken in 1906, in the middle of the Art Nouveau era. One reason for starting museum activities was the desire to document and preserve the earlier townscape of Helsinki, which was being brutally swept away by the Art Nouveau building boom. 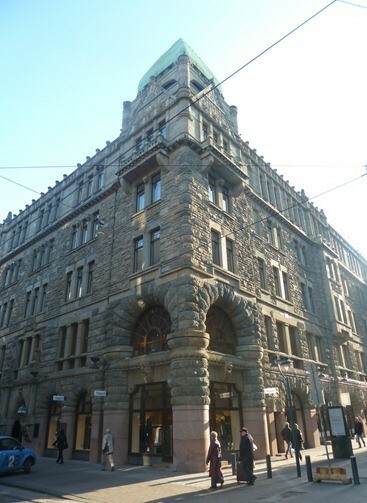 Today, the museum headquarters are located in a former Art Nouveau department store in Sofiankatu 4. The museum houses an extensive collection of objects, photographs and works of art reflecting the City's history. The preservation of Helsinki's architectural heritage - including our Art Nouveau treasure - is one of the City Museum's central tasks.